Duck butchering went well yesterday. I picked the two white drakes out of the bunch while they were still inside their hooch, and trailered them down to the house in a wire dog crate where they hung out until early afternoon. The weather was perfect – 63 degrees and sunny – so no cold fingers nor any flies. We noted that the first bird plucked easier than the second; we think because we scalded it longer. There wasn’t any problem with skin tearing, so next time I’ll probably swish a little longer in the hot water before cooling them in the ice water. I’ll be getting a tool to help scrape out the cavity, too, as that was a little difficult with their long bodies. The livers look wonderful, can’t wait to cook them up. 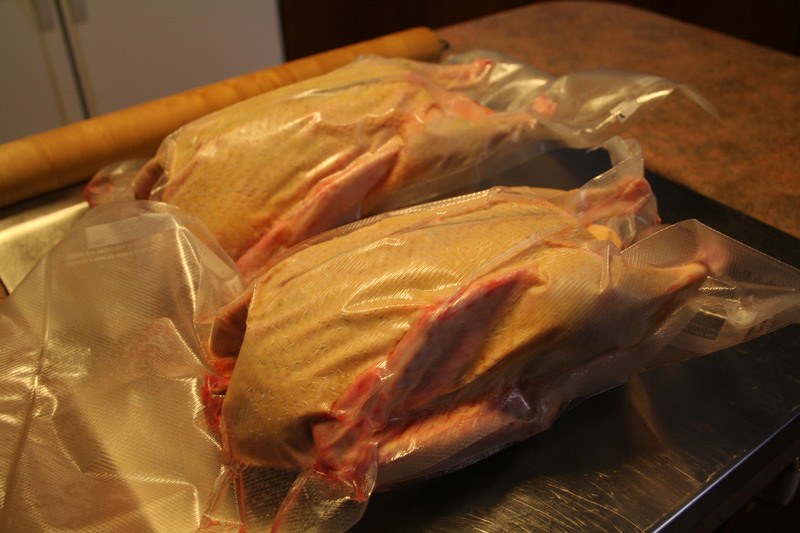 Both birds are “relaxing” in the fridge in their vacuum-sealed bags, the one to be roasted on Thursday and the other to start the freezer flock. They dressed out right around 5 lbs each. Perfect. I brought home 15 eight-week-old Muscovy ducklings in mid-August, to start a bug-eating flock for the cow pastures. Fly control, or one element of it, hopefully. They are now 21 or 22 weeks old, nearly full grown. There are only 5 little hens in the bunch. I don’t need 10 drakes to 5 hens, that’s for sure; two will be plenty. So the extra boys are destined for the freezer, and one will volunteer for Thanksgiving meal duties. It’s been 30 years since I processed poultry, so I’m only going to do two this first go-round. I won’t take pictures of all the steps, maybe just one before and after. We’re assembling all the items needed and test-firing the scalding pot today. 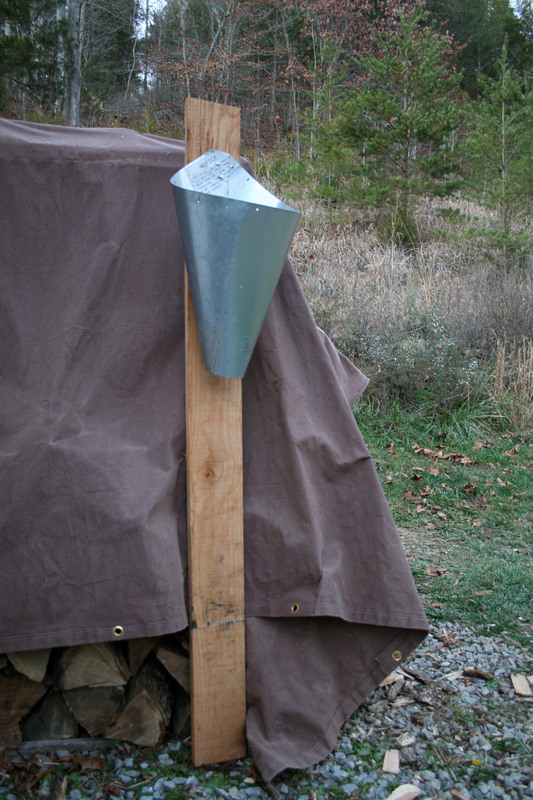 I built a killing cone yesterday out of scrap sheet metal, using dimensions I found online. Hopefully everything goes smoothly, although I’m not looking forward to the hand-plucking. Bear is here on his first semi-annual visit, over the Thanksgiving holiday – so nice to have him here. With any luck, we’ll have a succulent young roasted duck with our mashed potatoes, stuffing and gravy this year. Bon apetit!